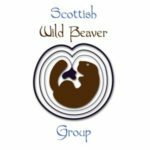 SWBG is Scotland’s only charity dedicated exclusively to the protection and conservation of beavers. Since we were founded we have worked as a team of volunteers spreading educational information and channelling interest in beavers through the press, social media, school talks and other local events. With local, national and international support, our mission is to facilitate the harmonious coexistence of beavers and humans in Scotland. The charity is run by a group of trustees and advisors who include experts in zoology and ecology, as well as knowledgeable enthusiasts who bring a wide range of skills and connections.